THIS TRIP IS SOLD OUT! THANK YOU FOR YOUR INTEREST AND SUPPORT! 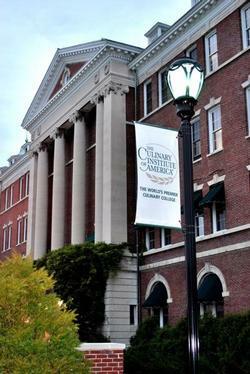 We begin our day with a guided tour of the Culinary Institute of America. Then guests will enjoy a delicious three-course luncheon at the famous Bocuse Restaurant, where the execution of classic French cuisine is prepared through the lens of ultra-modern cooking techniques (scroll down for our lunch menu). The Bocuse Restaurant is a unique and exciting world-class dining experience. 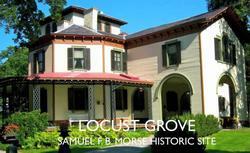 Afterward, we'll hop on the bus and travel to Locust Grove, the Italianate village designed in 1851 for the artist and investor Samuel Morse by the architect A. J. Davis. We will have a guide 60 minute tour, followed by time to explore the grounds or visitor center. Cancellation Policy: Please note that refunds will be given only if space can be filled by another guest prior to trip. A waiting list will be compiled, and available spaces will be filled on a first come, first served basis. Only those with who have made full payment can be accommodated.